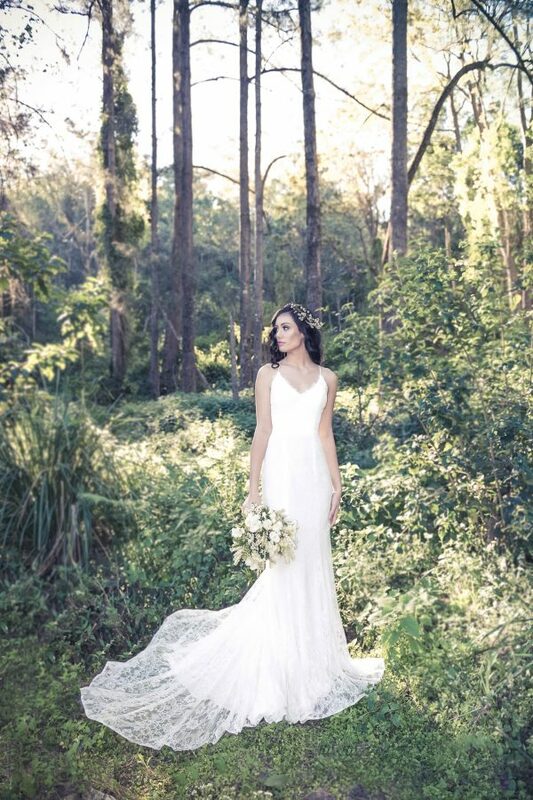 The “Snow Lotus” by Daisy gown is all about delicate detailing – without being over the top. The detailing is subtle: slightly translucent Venetian brocade lace is scattered with hand cut petals over the translucent bodice and waist. The bodice has a V-neck at the front, and deeper V at the back, with extra lining around the bust – giving great support, even for larger busts. An A-line skirt is made of flowing layers of quality rayon Georgette crepe, with a sweep train. It sits on your natural waistline and flows out into a wide skirt, making this dress incredibly flattering over the hips and bottom, and easy to wear. Savvy Brides is a boutique bridal service that specializes in helping brides find their dream designer dress without the price tag! © Copyright 2016 savvybrides.com.au. All rights reserved.